The experienced and award-winning professional agronomy team at United Cooperative offers a full line of seed, including Croplan®, Asgrow®, DeKalb®, NK®, and Mycogen® brands of corn, soybean, alfalfa, wheat, and forages. Agronomists are stationed throughout south-central Wisconsin, and are always willing to help you make cost efficient plant food recommendations to result in bigger yields. Stine Seed has been added to the seed lineup. Stine has a long tradition as a leader in soybean breeding and today operates the industry’s largest soybean breeding program, developing genetics that comprise nearly two thirds of the genetics planted in the U.S. each year. Stine, along with having traits like RR2Y, and Extend Stine, is uniquely positioned to provide growers with multiple new choices for resistant weed management with the new technologies such as GT27/LibertyLink system. This technology offers resistance to both Roundup and Liberty giving us another option to control waterhemp and other glyphosate-resistant weeds. An added bonus is that they are tolerant of HPPD/Group 27 herbicides that might carry over from the previous year. Products such as Callisto and Impact would be in the group 27 class of herbicides. United Cooperative's agronomy division has one of the largest amounts of liquid and dry fertilizer storage in the Midwest, and cutting-edge equipment greatly enhances the effectiveness and timeliness of our agronomy services. 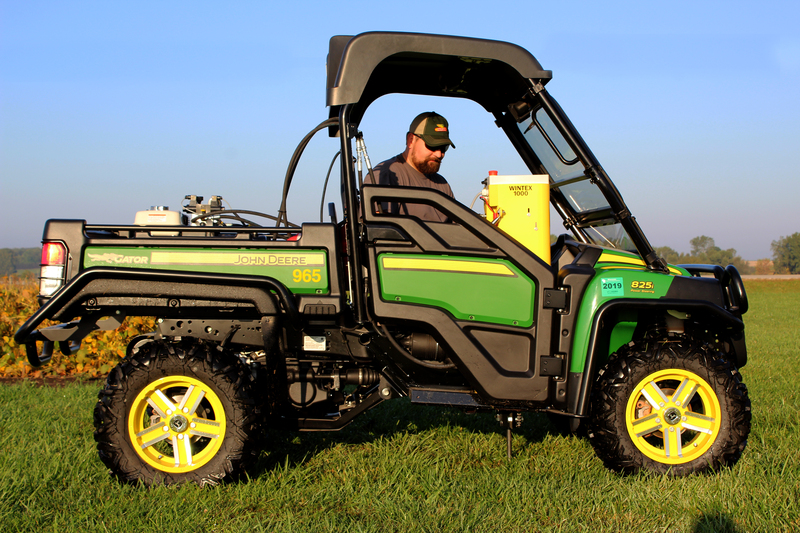 With quality equipment for spraying, spreading, delivery, soil sampling, grid-soil sampling, test-stand calibration, precision agriculture, etc., United Cooperative is always looking for new ways to maximize your crop yield potential. In this fast-paced and ever changing agriculture industry, it can be difficult to comply with all the environmental and regulatory rules that are out there. Currently there are on-going rewrites of the DNR 151 rules, NRCS 590 rule, ATCP 50 rule, increased focus on the Mississippi River Watershed and increased emphasis on the Great Lakes Watershed Initiative. As all Wisconsin producers are expected to meet state and federal standards for nutrient management, we have established a team of qualified certified crop advisers (CCAs) and technical service providers (TSPs) to serve you with all your nutrient management planning, comprehensive nutrient management planning, WPDES Permit planning for CAFOs, assisting with other DNR permit issues, pest management planning, CSP Program assistance, tissue testing, soil sampling and other consulting needs. Find your agronomy location below, connect with your agronomy specialist to help you move forward with all your consulting needs.